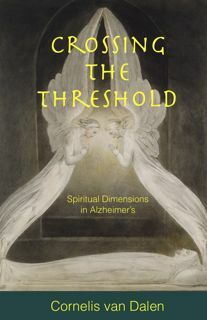 Cornelis van Dalen, a homoeopath, in the capacity of a homecare support worker, brings the inner experiences of Alzheimer’s dementia into spiritual perspective, as he observes and helps John, a 93 year old Alzheimer’s patient. Crossing the Threshold is a highly personal account of a spiritual life embodied in the Christ Being. Cornelis shares insight into the transition of the soul leaving the physical body and moving into the higher worlds where the Great Comforter, the Paraclete, awaits. With the increase in age related dementias, there is a need for a true holistic understanding of what is death. In the true spirit of life, death is called transition, for life is a continuum with no beginning and no end. Given the ease with which dementia patients are prescribed drugs and the all-pervading pursuit of a miracle drug cure for the reversal of symptoms, here is a story to challenge the medicalisation of death. The care of dementia patients is an arduous and, most often, a longterm task. Understand then the importance of coming to terms with the spiritual aspects of the human being and the future of man in the embodiment of Christ. This book will benefit carers of dementia patients and any one who seeks insights into life’s great mysteries. Those facing what is termed death will be comforted by the words. Postage rates. Immediately dispatched from Australia but allow up to 28 days for delivery. You do not require a PayPal account to make any transaction. Thank you! Cornelis van Dalen is an experienced Homoeopath and Nature Cure practitioner. Cornelis began his quest to seek healing methods more than thirty years ago. His interest in the body, and importantly, in the human spirit guided him to research the practice of Chinese and Japanese therapeutics. 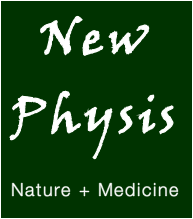 This eventually led to the study and practice of Homoeopathic and Naturopathic medicine. Coincidence led Cornelis into home-care for the aged and chronically ill, and especially in the care of the dementia patients. This gave scope for observation of dementia states and the development of programmes and treatment protocols to help these patients. Cornelis van Dalen now resides in Australia after two decades in London, United Kingdom.